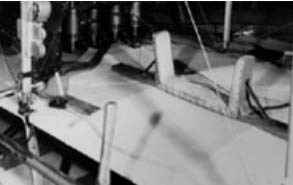 Pendleton, Ed., Sanders, B., Flick, P., and Sensburg, O., “Controllable Aeroelastic Lifting Systems,” Proceedings of the International Forum on Aeroelasticity and Structural Dynamics 2002, (2002), pp. 555-566. 松下　洸，「飛行機の振動モードのアクティブ制御」，日本機械学会誌，89, 811, (1987), pp. 662 - 667. 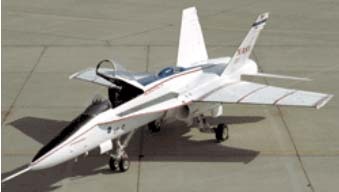 Pendleton, E., Bessette, D., Field, P., Miller, G., and Griffin, K., “Active Aeroelastic Wing Flight Research Program: Technical Program & Model Analytical Development,” Journal of Aircraft, 37, 4, (2000), pp. 554 - 561. 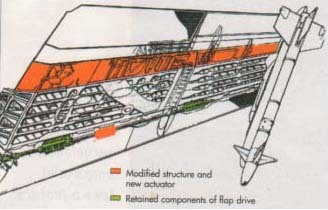 Wilson, J. R., ”Active Aeroelastic Wing: A New/Old Twist on Flight,” Aerospace America, 40, 9, (2002), pp. 34 - 37. Matsushita, H., Miyata, T., Kawai, M., and Mosekilde, E., “Nonlinear Mathematical Modeling of Aircraft Wing Flutter in Transonic Range,” Proceedings of International Conference Physics and Control, 1, (2003), pp. 195 - 199.